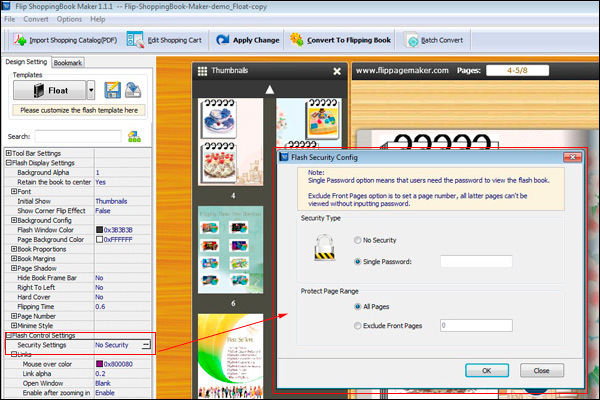 How to protect your flipping catalogue with password? For security reasons, a password can block others from visiting your precious content. Password is a critical part of information and network security. This security guide will teach you how to setup password. Step1: Start Flip ShoppingBook Maker, import a PDF file in. Step2: Move eyesight to the left settings list; find out the option of Flash Control Settings -> Security Settings. Step3: A password editing window popped up, you can set password to protect all or part of pages.